The Neo Hybrid ($14.99) for the LG G7 offers incredible protection against drops and scratches with an extraordinary look. It provides optimal drop defense through a dual layer structure comprised of a rigid PC frame and TPU body to maintain a slim profile. The herringbone pattern provides grip while preventing pesky fingerprints and its raised edges ensure the protection of your camera and screen. 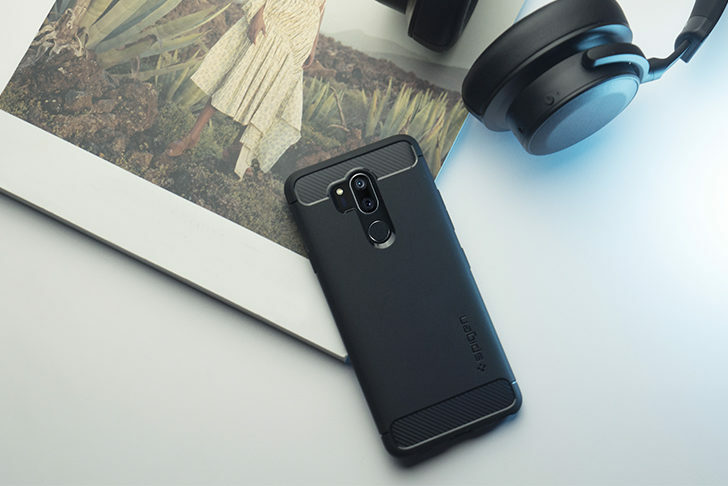 If you’re looking for a case that keeps your LG G7 compact with sleek protection, the Neo Hybrid may be the choice for you. Now available with two color options, Gunmetal and Satin Silver. Searching for top-notch protection without the bulk? The Tough Armor is a long-time favorite because of its extreme durability and functionality. 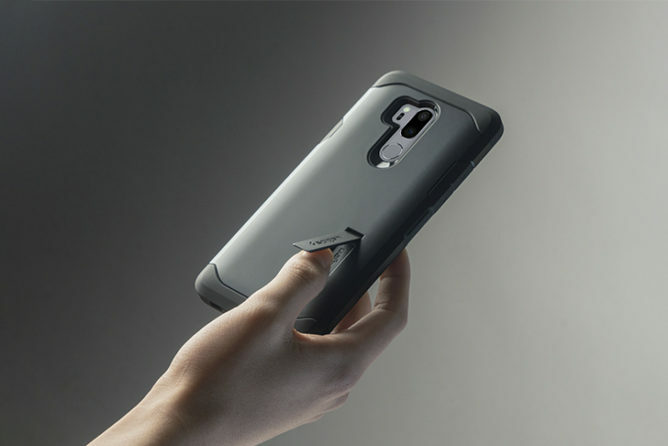 Just like the Neo Hybrid case, the Tough Armor is a dual layer design while offering extreme protective with a hard outer shell that combats against impacts and drops. For the ultimate viewing experience, there is a built-in kickstand for your favorite series or movies. 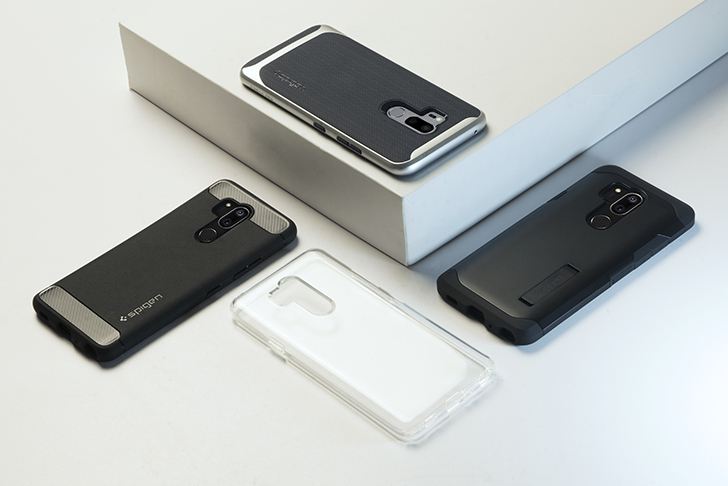 Get a heavy duty case that protects your LG G7 in either Gunmetal ($16.99) or Black ($15.99). 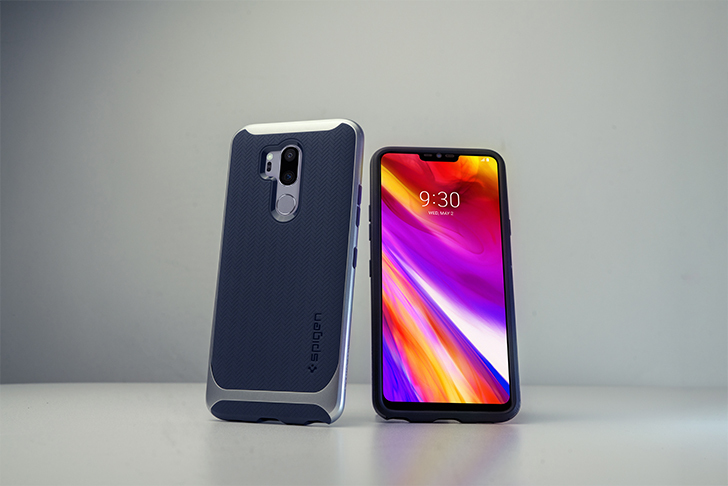 If you’re looking for a case that looks great without sacrificing protection, the Rugged Amor for the LG G7 is the perfect solution. The Rugged Armor is a fan favorite with its signature matte look and carbon fiber accents. Rugged Armor is the deceptively protective as the single protective layer packs Air Cushion Technology in all corners for unexpected drops or impacts. Encase your new LG G7 with the Rugged Armor for an unrivaled look and defense. Struggling to find a case that offers protection and doesn’t cover up your brand new LG G7? 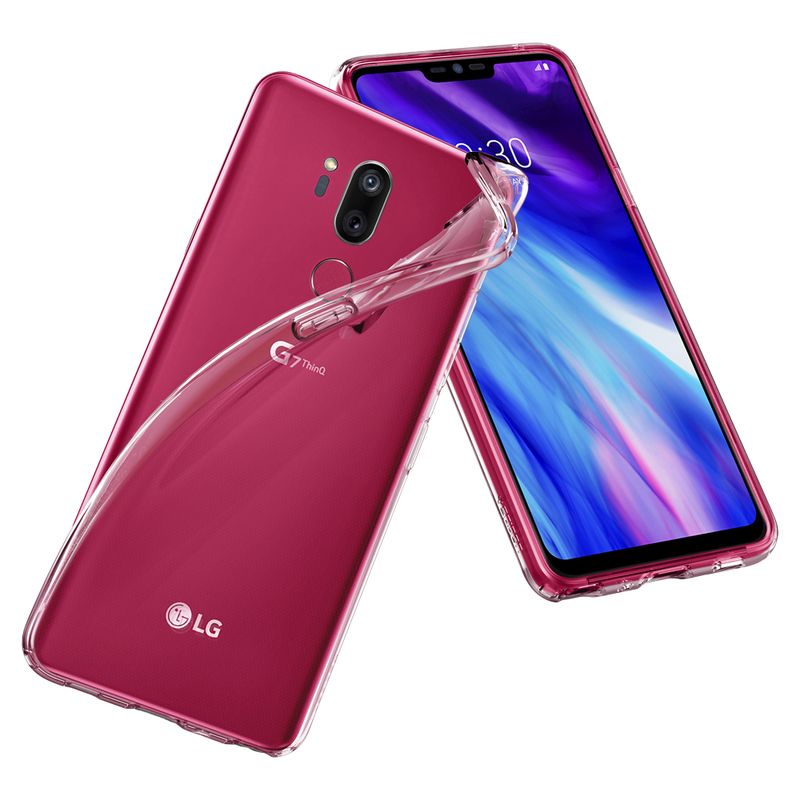 Show off your brand new LG G7 with the Liquid Crystal ($11.99) for the LG G7. The lightweight and thin Liquid Crystal is perfect for keeping your device just the way it is. The secret to its hassle-free application is its flexible TPU that also keeps your phone scratch-free. You can protect your phone without losing its signature look with a crystal clear case.